I can not believe school starts in a week for my kids. Where has the summer gone? I am always looking for easy and yummy ways to get my kids to eat their vegetables. My little one loves almost all the vegetables. My older one not so much. He is so picky. So everything tastes better with cheese right? Well here you have it! I have a new favorite dish and so do they and this is it! I have a slight obsession with roasted vegetables. More so with cauliflower and broccoli. There is just something about the caramelization that takes place during the roasting process that makes them taste so amazing. Now think about adding some grated cheese. Well OMG! Forget about it being a side dish it just went to a full blown main dish. I Promise you will never ever eat plain cauliflower ever ever again! Your kids just may like it to. So when in doubt just throw a little cheese on things. You never know. Sprinkle with cheese, return to oven and cook 3-5 more minutes until cheese is melted. It is like pulling teeth to get my family to try "new" veggies. Sadly, they are not interested in cauliflower. This just might change their minds. Thanks! This sounds fantastic! I will be trying it soon. I could literally live on this, looks amazing!!! Lemon juice is listed in the instructions, but not in the actual recipe....how much lemon juice do you use? Thanks! That looks absolutely mouthwatering. Pinning for later and hopefully adding into my menu rotation soon. 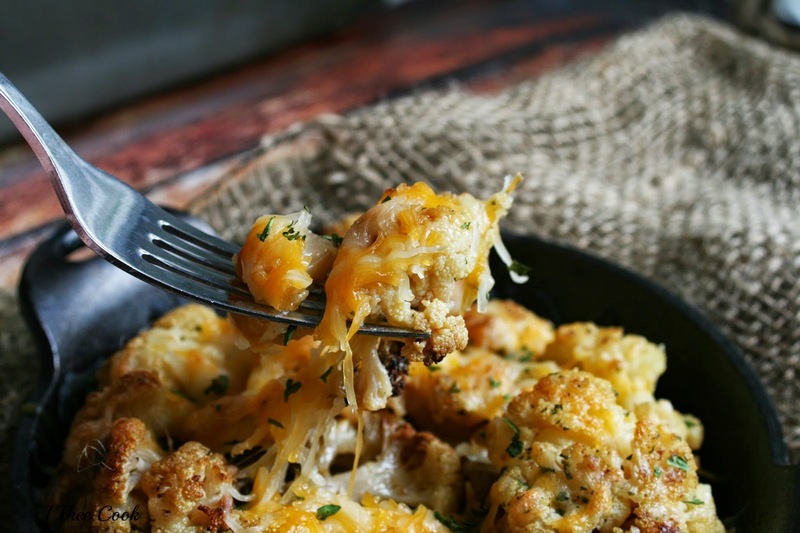 Roasted cauliflower is SO incredibly delicious on its own, but adding all this cheesy goodness?! Even better! Pinned! This looks great! 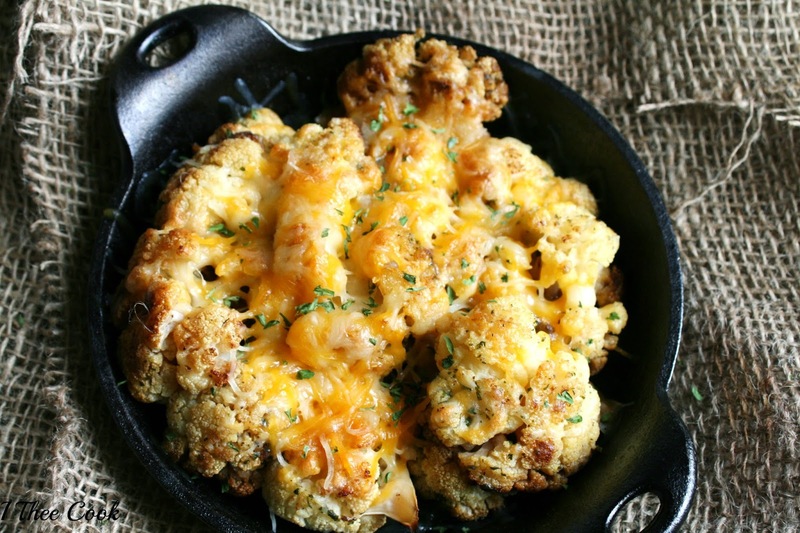 I am always looking for creative ways to trick the kids into eating vegetables, plus I love cauliflower! Found you on Show Stopper Saturday link party and started following on Google +. Definitely pinning this recipe. Oh, my! This sounds delicious! 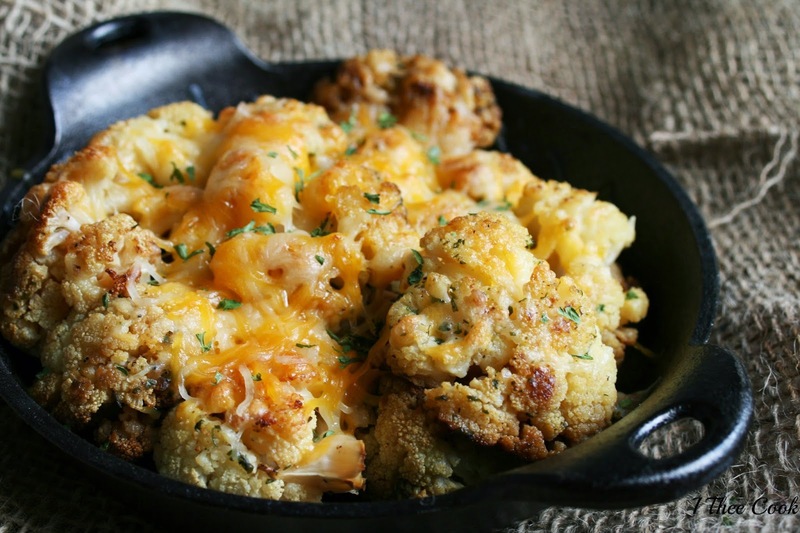 I make a roasted cauliflower, but never thought of sprinkling it with cheddar jack cheese too. Perfection! Thanks for sharing at my Creative Ways Link Party. Hope to see you again at this week's party! This looks delicious! I will have to pin this to my recipe board to try later!! This looks scrumptious!!! All that cheese! Pinned!